Wits end. That’s where I was. 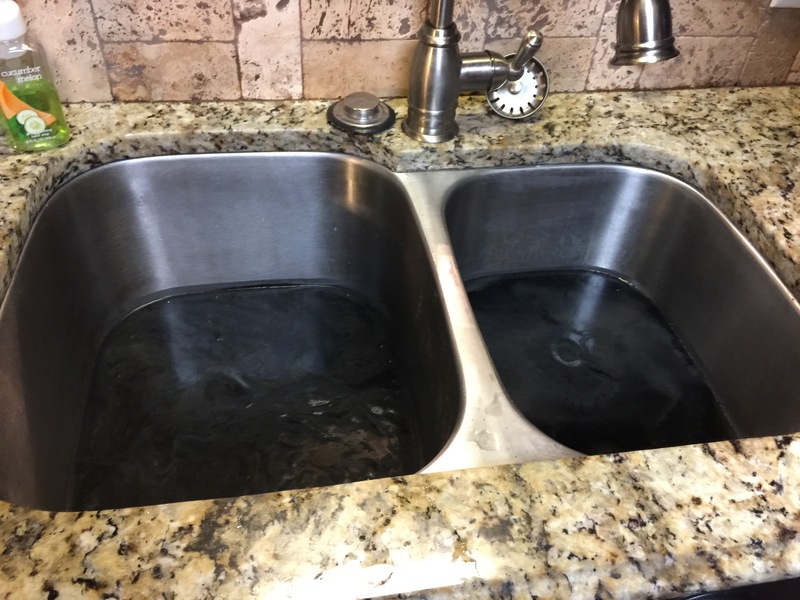 I had poured drain cleaner down the kitchen sink. I had snaked it with a manual snake and a drill-powered snake. But nothing I did had worked. And as of yesterday, the sink would take hours to drain. Not wanting to wash anymore dishes in the bathroom sink, we decided I should call a plumber this morning. When the plumber we had used previously told me he was not doing that kind of work anymore, he recommended someone. I made a second call, and within a couple hours Jerry showed up to help us. Then, just as Jerry got all his equipment set up to climb on the roof and clean out the drain from the vent pipe, the skies dropped a deluge of rain on us and Jerry had to hold off. Fortunately for us, the skies cleared enough… and the lightning paused long enough… that Jerry felt safe enough to try again. That black sludge is grease and dirt. Jerry said that it usually only takes one shot to clean out most drains. If he has to do it twice, it’s pretty bad. He could hardly believe he had to do it three times on ours. As we wrapped up the business, he told me these drains had probably never been cleaned out. Think about that… a house that is nearly 40-years old and all that sludge building up, but no one ever had the drains cleaned out. Jerry said that if we have any problems in the future, we should call for help at the very first sign of trouble. That Jerry is a pretty smart guy. It’s easy for us to let things build up in our lives instead of getting them cleaned out. We throw minor efforts at dealing with them, but they remain. In other words, clean out my drain pipes, Lord, so that none of that sludge stays in there. Blow out the unforgiveness, the bad attitudes, the wrong thoughts… clear the line so that Your Holy Spirit is free to flow through me and bless others. 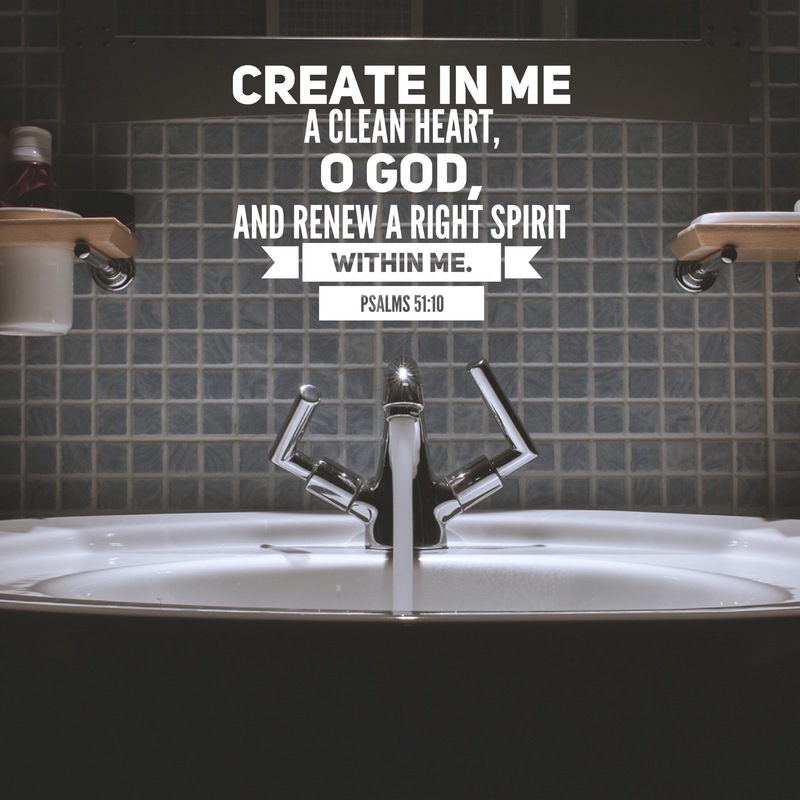 Right here at the beginning of the year is a great time to make that call on God to do some spiritual plumbing clean-out in our lives. Don’t wait and make it any tougher than it has to be. Do it now.